Computer Guys is an IT-services company that brings efficient and effective solutions to solve IT-related problems that companies face today. We act as an out-sourced IT department for your company on a long-term basis that provides on-site/off-site help and maintenance. We believe in providing support not to the machines but, more importantly, to the users themselves. On hiring us, we will recommend changes to the IT infrastructure of your company. We also introduce companies to the use of premium productivity suite that greatly improves productivity and communication in the company. Our company is founded by the son and daughter of Mr. Aw Boon Haw (Founder of Tiger Balm and Haw Par Villa) and recently, we have made huge improvements to our Act-Q-Patch – its now restickable, odourless (no strong, aunty herbal smell) and doesn’t pull any of your hair out! Why spend a single cent on online advertising when you can advertise on Singapore’s number one socio-political blog for FREE? Our bloggers will also design and package your advertisement for you in a short, simple and sweet format to attract the readers, all without charging a single cent! With our high readership, we will be able to offer advertisers another outlet to reach out to their clients. We currently have an average of 7,000 to 11,000 unique readers daily with 50,000 – 90,000 page views and the number is still growing. The total number of page views has exceeded 1 million so far in less than a month. 1. A short introduction about your product / services in less than 100 words. 2. One – two photos of your product / services. 3. A link to your company / business’s website. TeleMetrix+ is a telehealth service that enables patient vital signs, such as blood pressure, blood sugar, weight and temperature to be remotely monitored and tracked by your doctor in the comfort of your home. 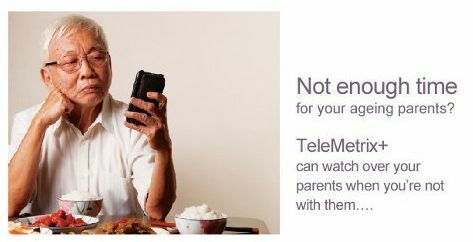 TeleMetrix+ is ideal for chronic care patients. It also benefits the patient’s family caregivers who can easily view their parents’ health data and take appropriate action when required. Please visit us at: http://www.hrmatters21.net for more information. Looking for lady’s accessory? Come to RingRangRung.weebly.com! We offer wide varieties of popular & trendy accessories for reasonable prices!